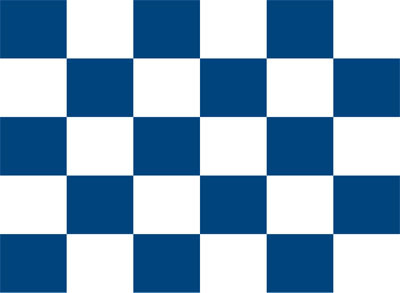 These car flags feature the classic checkered design in blue and white. 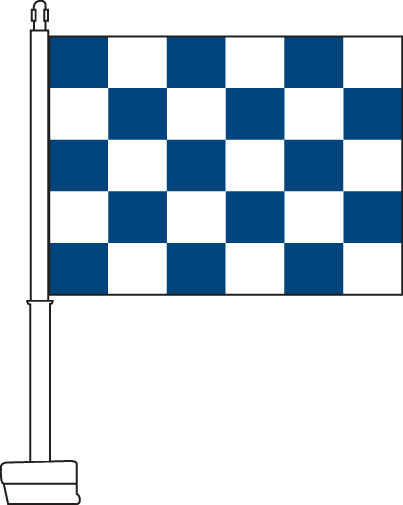 In car and motorcycle racing, the checkered flag is used to indicate the finish of a race, which makes the checkered motif naturally relevant for car dealerships looking to create an automotive-themed design on their lot. 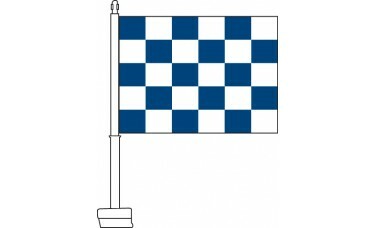 Checkered flags can also be used to coordinate with other design elements on your lot with the same colors.